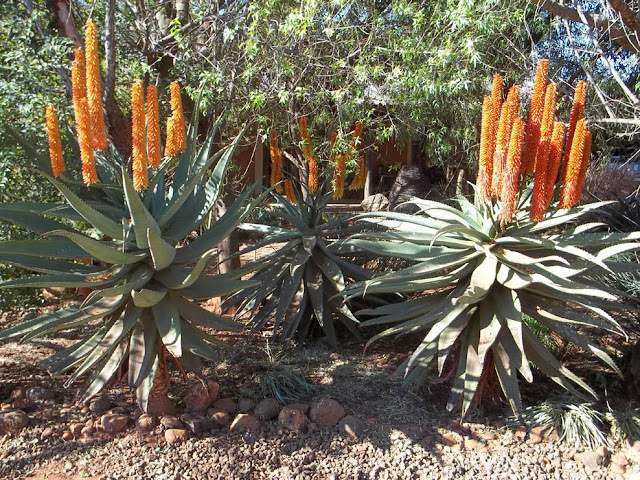 The aloe seemed to ride like a ship with the oars lifted. Bright moonlight hung upon the lifted oars like water, and on the green wave glittered the dew. 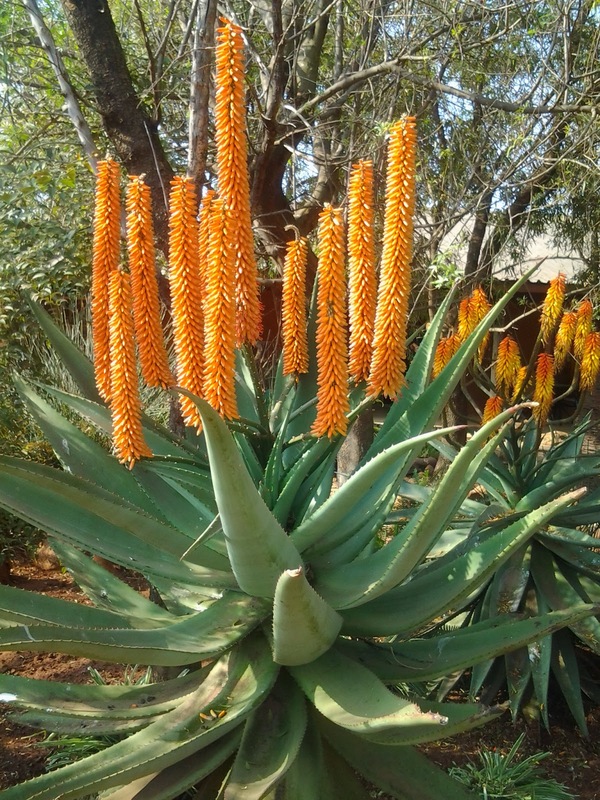 This past winter my aloes put up the most spectacular show and in August I noticed that the Black Sunbirds were all visiting the Aloes (Aloe ferox, Bitter Aloe) in my garden, and the reason was soon apparent - it was fairly dripping with nectar! The flowers always seem to produce the most nectar just as they're getting to the end of their life-span and as winter is at its harshest. It's their special gift to nature just when she needs it most. This hardy plant, indigenous to South Africa, and with its succulent leaves, can survive the harshest conditions. When damaged by man or animal, the plant seals off any wound with a sticky, dark liquid that prevents infestation by virus, fungus or insect. This dark liquid has been successfully used by ancient inhabitants as a traditional remedy for many ailments. The white inner gel of the leaf has the ability to hold and store moisture through hot, dry conditions and months of drought. Traditionally the local inhabitants use it to soothe burn wounds, cuts and abrasions. Today those same qualities are still the being used in a wide range of moisturisers and rejuvenating creams and gels. The nutrient rich leaf is filled with the goodness of the earth and contains no herbicides or pesticide making it an ideal source of nutrients and helping your body to cope with modern day living in a gentle and natural way. 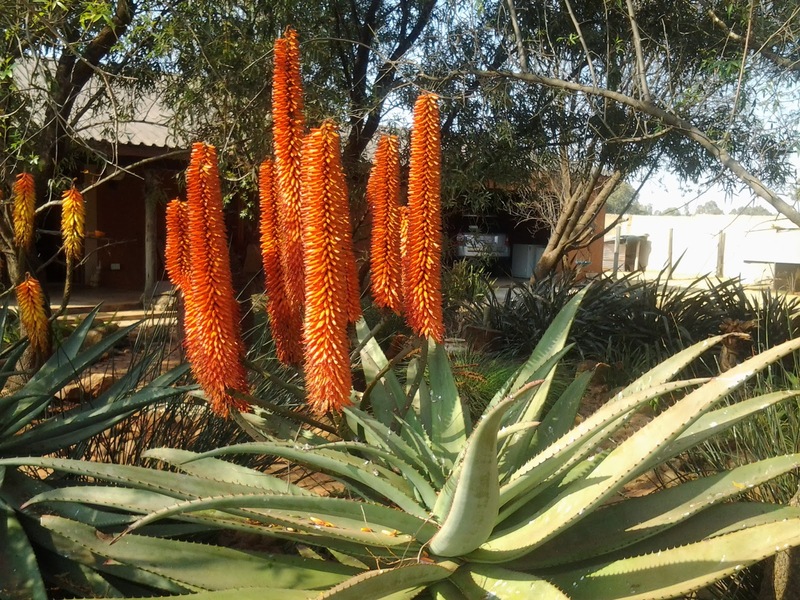 The bitter aloe is most famous for its medicinal qualities. In parts of South Africa, the bitter yellow juice found just below the skin has been harvested as a renewable resource for two hundred years. 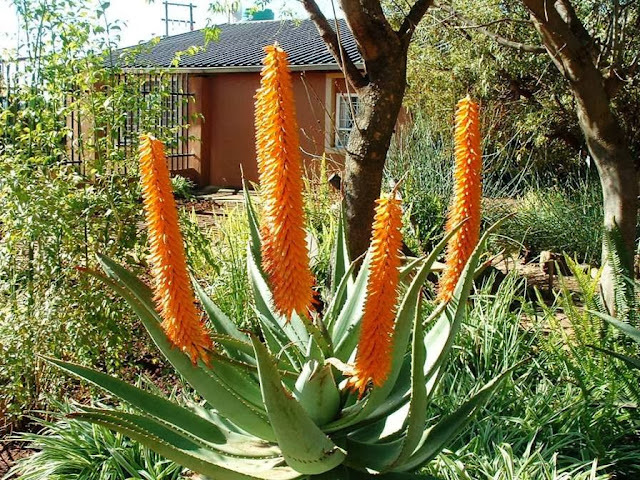 The hard, black, resinous product is known as Cape aloes or aloe lump and is used mainly for its laxative properties but is also taken for arthritis. "Schwedenbitters", which is found in many pharmacies, contains bitter aloe. 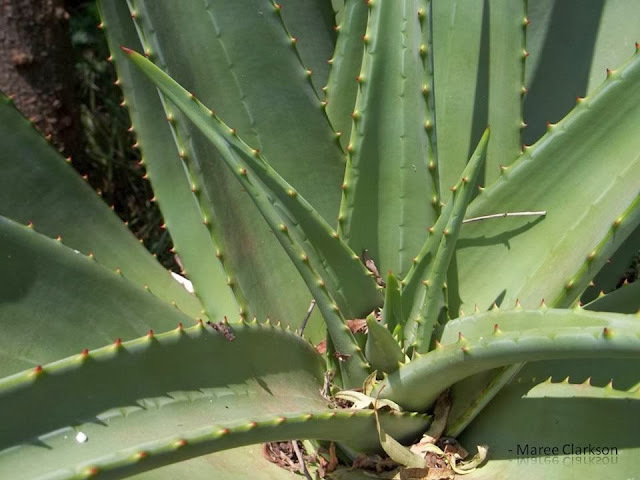 The gel-like flesh from the inside of the leaves is used in cosmetic products and is reported to have wound healing properties. Interestingly Aloe ferox, along with Aloe broomii, is depicted in a rock painting which was painted over 250 years ago. The Aloe is winter-flowering and did you know that they flower in mid-summer in France, when it's Winter time here in South Africa? Isn't nature's clock just amazing...?